Home >> October 2008 Edition >> INSIGHT - The Emerging Launch Market Threat? INSIGHT - The Emerging Launch Market Threat? Clearly there exist three factions of the satellite launch market when measured against the yardstick of satellite launching capabilities. The Big Three, comprised of Arianespace, Krunichev (ILS) and Sea Launch, form the most formidable of these factions. Bringing up the rear are what we shall term The Emerging Three  Chinas CASC, Japans JAXA, and Indias ISRO, all of whom are moving hard and fast toward closing the gap. The third faction that rests in between the two is that of the United States as a whole, its involvement in Sea Launch notwithstanding. Table 1 lists the launch facilities, launchers and maximum payload-carrying capacity of each of these factions. All three factions have the same number of launch vehicles currently in operation, three each as of 2008. However, The Emerging Three have launch vehicle development programs nearing completion that will more than double their payload carrying capability by 2010. Does this mean that the market will effectively shift its weight from the primarily Western to Eastern launchers? Currently, 50 percent of the total tonnage that can be lifted into orbit every year is possible only through The Big Three, with their existing infrastructure of six active launch pads and the ability to handle about 24 launches per year. As opposed to this, The Emerging Three can currently manage only 12 launches per year from their five active launch pads. This scenario is set to undergo a rather radical shift over the next two years. If timelines set by the respective space agencies are to be believed, or even discounted, by 2010, China, India, and Japan, should be able to launch between 16 and 20 times a year. As a consequence, they will have increased the total tonnage they can carry into orbit every year from todays 18 percent to 34 percent of the global tonnage carrying capacity. The question sceptics are quick to ask is, will this increased supply of orbital launch capacity be met with appropriate rise in demand, or will we once again see a drop in launch prices as was experienced in 2003? The collapse of the NGSO market, the predictable downturn in GSO launch demand due to overcapacity, and the telecom and dot.com busts (combined) brought down launch prices considerably during the period between 2002 and 2003. From a total of 27 GSOs and five NGSOs in 2002, The Commercial Space Transportation Advisory Committee (COMSTAC) expected only 19 GSOs and less than five NGSOs in 2003, a fear that came true. The industry as a whole saw a revival in demand in 2006. 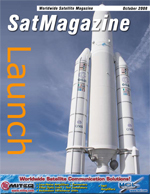 Sea Launch and Arianespace were completely booked, and prices rose 30 percent. There was a quiet resurrection of the NGSO market as Iridium and Orbcomm finally found firm ground from which to launch. The cyclic nature of the space industry manifested itself in the launch markets as well, with the market oscillating between overcapacity and fully-booked launch schedules, all within the span of three years. Though the 2008 COMSTAC report pegs the annual satellite launch demand at 21.8 per year (up one from the 2007 forecast), one must note that, due to the multi-satellite launches popular among the Big Three, this translates into only 16.2 launches for this year. This is a clear indication the current global launch market, which currently maxes out at about 50 launches a year, will find itself once again in a state of overcapacity as nearly 70 launches become possible every year by 2010. Table 2 shows the growth in launch capabilities from 2008 to 2010, while Table 3, sourced from COMSTAC, reveals the flat-lining of satellite launch demand over the same period. The Emerging Three are contributing significantly to this overcapacity. You need to remember how Indian and Chinese launches have traditionally tried to undercut market pricing. The other argument against The Emerging Three is the need for these vehicles to establish they are flight proven. This is clearly evident from the fact that of the 13 commercial telecommunication satellites launched in the first half of 2008, 12 were carried aboard the Big Three, with the only exception being the Chinese launch earlier this year. Last year ended with only three out of 13 commercial telecommunication satellite launches aboard vehicles sent into space by China, India, or Japan. Clearly, there is a lot of ground to cover and time to pass before The Emerging Three challenge their larger counterparts. The final blow dealt to the satellite launch market for The Emerging Three is a four letter word called ITAR. There are only a handful of telecommunication satellites per year that are ITAR-free  these arise mainly from the Russian, Indian, and Chinese markets. They are able to make the launch capacity of the emerging countries available by satisfying internal demand rather than cater to the global marketplace. As long as ITAR restrictions continue to be in place, the market will continue to hold potential for emerging players such as SpaceX, despite the fact they are yet to successfully launch a single payload into orbit. In the midst of this discussion lies the once fertile ground that is the United States launch services market. According to the latest Satellite Industry Association report, the global Satellite Launch Services market stands at US$3.2 billion in 2007, occupying 3 percent share of the global satellite Industry. Forty-nine commercial launches occurred in 2007, of which 55 percent were conducted for commercial customers bringing in 47 percent of launch revenues. SIAs figures indicate that while the Satellite Launch Services market grew from US$2.7 billion to US$3.2 billion from 2006 to 2007, the share of the United States during the same period remained at about US$1 billion declining from 37 percent to 31 percent. Although the launch sector contributed the smallest proportion of total satellite industry revenues, it employed the second highest number of satellite personnel in the U.S. It is the sheer might of the upper factions that will keep The Emerging Three in check. The Big Three and the United States heavy lifting capabilities will ensure that the large telecommunication satellites launched each year continue to lift off from either Baikonur or Korou. ITAR regulations dictate demand cannot flow as easily as it should to the most cost effective solutions from the Far East. And finally, the development of the Soyuz and Vega programs to tap the mid-size market will bring in new streams of revenue for the market leaders. Based in Mumbai, India, Mr. Butani joined NSR in February of 2008 and holds the title of Analyst, Satellite Communications. His areas of expertise include Digital Signage and Media Applications, VSATs and Project Management from the point of view of Satellite Operators. Following his Bachelors degree in Engineering, majoring in Information Technology, Mr. Butani obtained his Masters degree in Satellite Communications from the University of Surrey in Guildford, United Kingdom during which period he was actively involved with the SSETI project for student-built space missions, under the European Space Agency. During this time he also interacted with SSTL, the satellite manufacturing company on campus. Upon graduation Mr. Butani worked with Inmarsat and Avanti Communications in the London area. At Inmarsat he was engaged in activities related to the BGAN-X system, and from there he moved to a Project Management role at Avanti Communications working on their upcoming Hylas Satellite project focusing on areas such as Risk Management and Ground Segment engineering. While at Avanti, Mr. Butani was also exposed to a number of consultancy projects with the European Joint Research Centre, ESA and other EU Consortiums. In India, Mr. Butani worked with the Bharti Airtel group for their International VSAT business during which he was exposed to the Middle East market for satellite services. As more communications capabilities are offered to an ever greater number of users, with services to mobile platforms literally booming, the expansion of the Mobile Satellite Services (MSS) industry is still in its embryonic stage, with players trying to take a more active part in this increasingly global market. A flurry of new MSS satellites will be launched over the next few years, in both Low Earth Orbit and Geostationary Orbit, as the industry aims to fill the growing needs for anywhere, anytime communications solutions to a wider variety of users. The initial thrust to communicate on the move globally is not dying out and has given rise to billions of dollars of investments in satellite networks that connect customers seamlessly. Order the report to learn more from the experts at NSR.